Update your dicor with this elegant, adjustable curtain rod set. 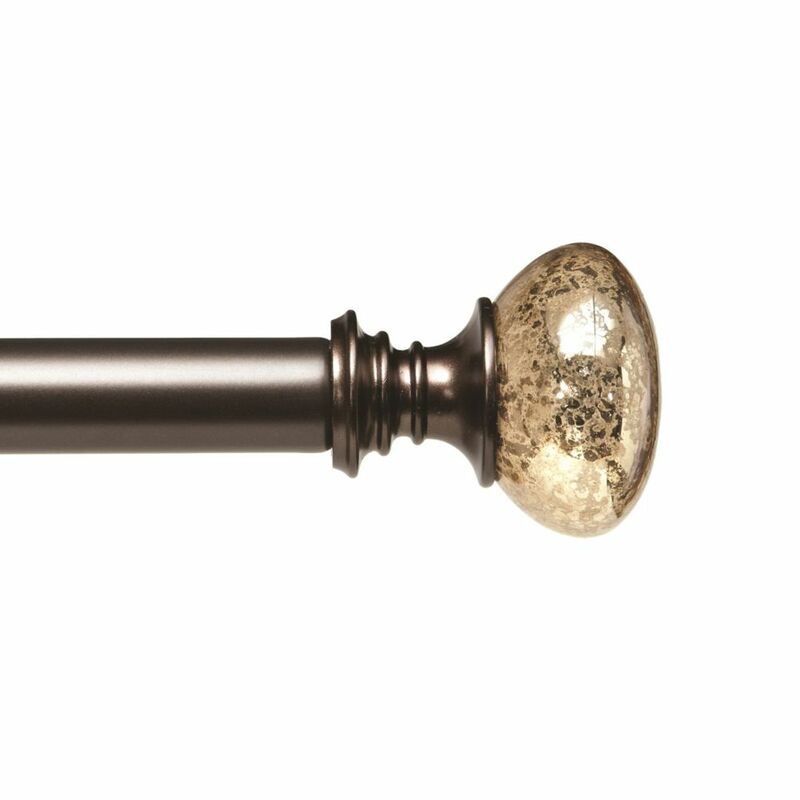 Chic cap finials and decorative scroll brackets bring a polished look to any room. 1 Inch diameter. Sleek Antique Silver Finish. Brackets and mounting hardware included. Coordinates with double rod sets (sold separately) to offer the opportunity to complete multiple windows within the same room. Matching holdbacks available. Add extra values to your home decoration by installing The Home Decorators Collections Wraparound telescoping rod set. This complete rod kit includes a 28 in. - 48 in. telescoping pole, two finials, installation brackets and mounting hardware. The brushed nickel color will match any cooler toned curtains perfectly. Add extra values to your home decoration by installing The Home Decorators Collections Lantern telescoping rod set. This complete rod kit includes a 36 in. - 66 in. telescoping pole, two 3/4 in. finials, installation brackets and mounting hardware. The brushed brass color will match any cooler toned curtains perfectly. 1 Inch Sepia Mercury Glass Rod Set 72-144 Inch Bronze The Home Decorators Collection offers a variety of decorative rod sets in styles ranging from arts and crafts, modern, classic and cottage. The Sepia Mercury Glass Rod Set has a 1 in. diameter rod that is available in 36 in. - 72 in. and 72 in. - 144 in. lengths. The bronze finish will complement any room decor.